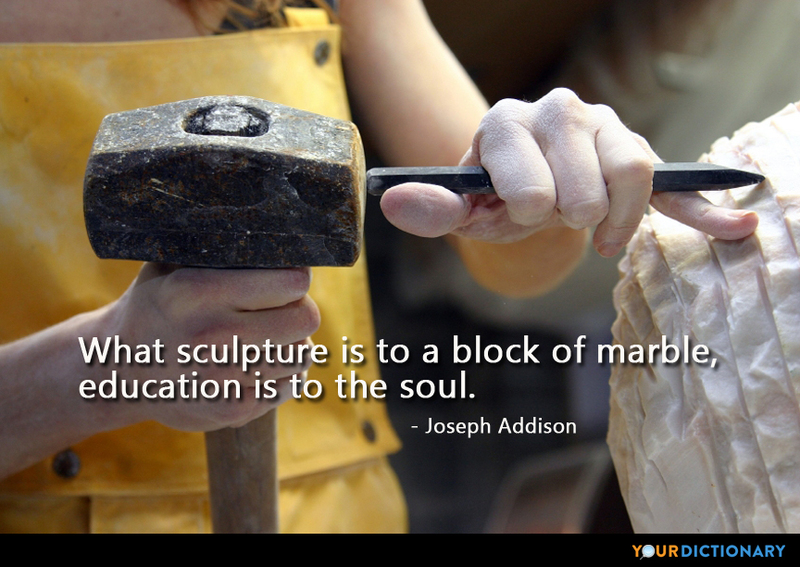 Joseph Addison (May 1 1672 – June 17 1719) was an English politician and writer. His name is often remembered in tandem with that of his friend, Richard Steele, with whom he founded The Spectator magazine.  The Freeholder, no. 4.  Act IV, sc. vi. The soul, secured in her existence, smiles At the drawn dagger, and defies its point.  No. 122 (20 July 1711).  Joseph Addison, The Spectator. No. 166.  1712 In The Spectator, no.476, 5 Sept.
 The Freeholder, no. 42. Curse on his virtues! they've undone his country. Great Pompey's shade complains that we are slow, And Scipio's ghost walks unavenged amongst us!  Joseph Addison, Cato, A Tragedy (1713), Act II, scene 1.